Do you or a loved one suffer from CTS - Critical Thinking Syndrome? 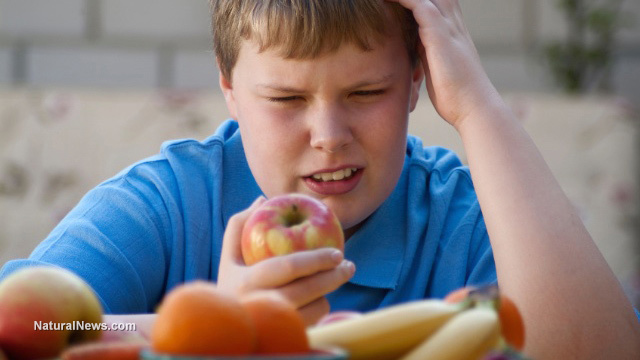 (NaturalNews) Thousands upon thousands upon thousands of young American children and teens are diagnosed with ADD or ADHD, attention deficit disorder or attention deficit hyperactivity disorder, when the problem really stems from bad curricula and bad food. Imagine for a second, something different, where a child is challenged throughout the school day by focus groups, critical thinking exercises and essay tests, rather than fill-n-the-blank lessons, pop quizzes and tests that rely mostly on memorizing dates, statistics and other rote memory items (like Jeopardy) with details that don't even matter to today's world. Also imagine a child who eats organic food, drinks filtered water and avoids for the most part all GMO nutrient-void meat, milk, bread and processed junk food snacks. Can you see him? Can you see her? Can you see the classroom and imagine the progress of interactive brain storming and inventing? Let's talk about poisonous food, toxic drinks, junk-science snacks and attention "deficit" disorder. Take away nutrition and pour in the chemicals. That's what American school lunches do. Even the vegetables aren't organic. The water fountain is pure fluoride, a known drug that doubles as an insecticide. Hitler reportedly used it to weaken the Jews in the concentration camps. The sodas and juices at school contain the same. How much? Don't ask the FDA to look that one up for you. Did you see the movie Super Size Me yet? It's a classic. The guy eats only McDonald's meals for a few weeks and can't make it to 30 days, his goal for the movie. He was living those 2 weeks void of nutrition. That's what went wrong. His doctors told him to stop doing the binge or he could die. So what do your kids eat when they get home from ALL THAT? Studies reveal that children consume as much as three pounds of dye by the age of 12. Let's start the brain-storming conversation with food colorings then, since the ADHD-chemical-prescription-writing doctors won't talk about it. Red #40: Most popular dye of all. Debilitates the immune system in mice. Allergic reactions common. There has been a 55% increase in U.S. toxic food dyes just since the year 2000. There are over 15 million pounds of dyes put in foods, drinks, candy and medicine every year, and the FDA does nothing to protect consumers from the barrage of poison. Here are some popular products and "brand" names you may mistake as exempt from these health effects: RD&C dyes and colors in baked goods, beverages, candy, cereal, drugs, pet food, personal care products, cosmetics, cough syrups, NyQuil, Tylenol, Robitussin, Jell-O, gelatins, Cheetos, Skittles, Fruity Pebbles, Marachino cherries, sausage, Mountain Dew, Doritos, chewing gum and powdered drink mixes. So why are children punished for deep thinking? Critical thinking? Is it too hard to grade papers this way... is that why? Maybe the teachers can't teach critical thinking because the old "canons" of textbook mentality is to keep that out of the classroom. That might produce kids who can think for themselves and don't work for rotten corporations later in life. If you're suffering and being punished for thinking about self-sufficiency, survival skills or anything that really matters, then you need to eat more organic food, as this will enhance more critical thinking and enable you focus even more. It's kind of like giving a stimulant to someone who is hyperactive so they can focus. Critical thinking... it's not a syndrome! It's syndrome prevention.